‘Active commuting’ options such as walking or cycling have numerous public benefits. Chief among these benefits are improving population health, enhancing transportation infrastructure resilience (through multi-modal diversification) and reducing the ecological footprint for the society that adopts these options. The Safe Routes to School (SRTS) program is a U.S. Federal initiative administered in Virginia by the Department of Transportation (VDOT) and applied within local jurisdictions to encourage the identification and mitigation of infrastructure gaps that inhibit active commuting. By focusing upon safe travel for school children, the SRTS program aspires to promote the public benefits identified above, reduce total transportation infrastructure spending, and encourage affinity for active commuting in the generations to come. To qualify for federal funds, individual schools must complete a grant application (see example for Virginia) which includes preparation of a map to identify preferred active commuting routes and target infrastructure investment proposals. But at the regional level, such as a county or metropolitan area, where should civic planners start? Which schools/areas possess the best characteristics for adopting an SRTS program? 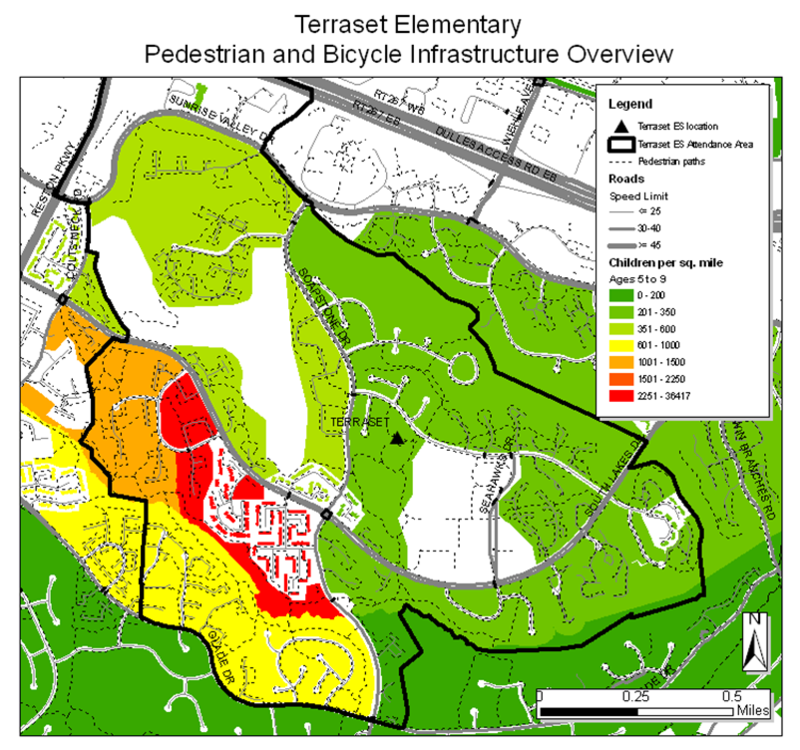 The paper “Spatial Prioritization of SRTS Program Adoption within Fairfax County Public Schools” illustrates an approach civic planners may take when embarking on a regional assessment to prioritize community outreach efforts. The paper outlines potential criteria that may be used to identify the most attractive business cases for program introduction. The paper then applies these criteria geospatially to identify candidate schools within the Fairfax County Public School system in Virginia which have the fewest impediments for SRTS program adoption. A brief case is made to integrate individual school plans into regional commuting plans (such as rail tranport and cycleway development) to maximize program value. More information on active commuting solutions can be found at the National Complete Streets Coalition, and a very effective regional advocacy group called Fairfax Advocates for Better Bicycling can be a great place for Fairfax County residents to get engaged in the process. Australia and the United States are similar in the size and complexity of their exclusive economic zones, defined as the 200 nautical-mile wide band of ocean extending from their shores. The two countries differ in their governance institutions for these vast underwater territories. This paper, “Ocean Governance – Australian US Comparison,” compares and contrasts each country’s approach to governing their oceans and makes recommendations for the newly created US Interagency Oceans Policy Task Force. How does one achieve Enterprise Resilience? 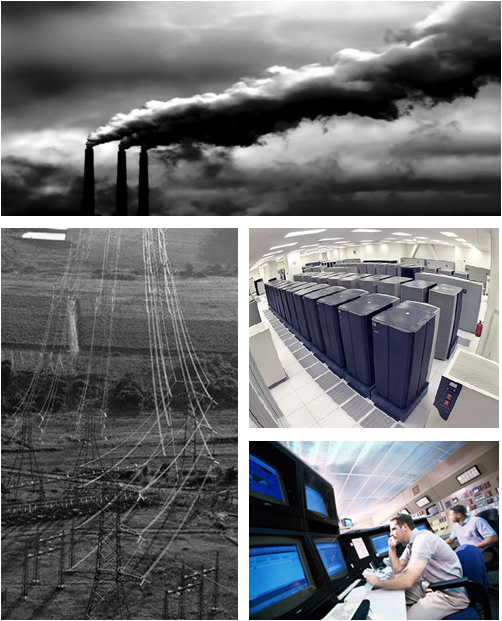 Resilient enterprises emphasize the strategic management of risk through the reduction of negative consequences rather than the reduction of probability. Yossi Sheffi of MIT asserts that strategic resileince yields competitive advantage over time. We agree, but how does one effectively manage for resilience, or for that matter how can we improve enterprise security overall? One key approach is to establish an effective enterprise architecture process within the investment planning cycles, to continously align the design of new investments to the organizational strategy. If resilience is a part of this strategy, then enterprise architecture will incorporate resilient approaches into each iterative change to an organization. Resilience refers to the capacity for an entity, be it ecosystem or enterprise, to absorb distrubance and retain basic function.